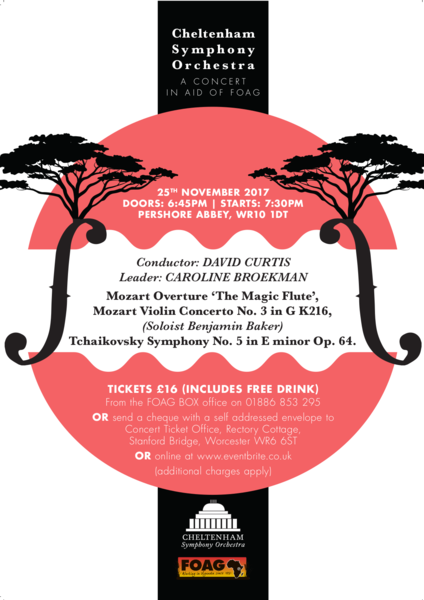 On the evening of 25th November Cheltenham Symphony Orchestra will be holding a concert in aid of FOAG at Pershore Abbey. Tchaikovsky Symphony No. 5 in Eminor Op. 64.